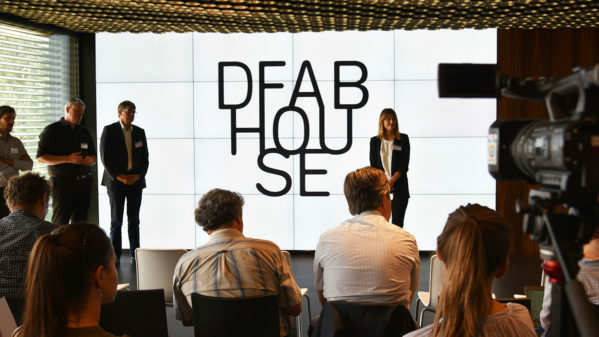 On June 29, 2017, the DFAB HOUSE project team informed the media and the public for the first time about the DFAB HOUSE construction project. 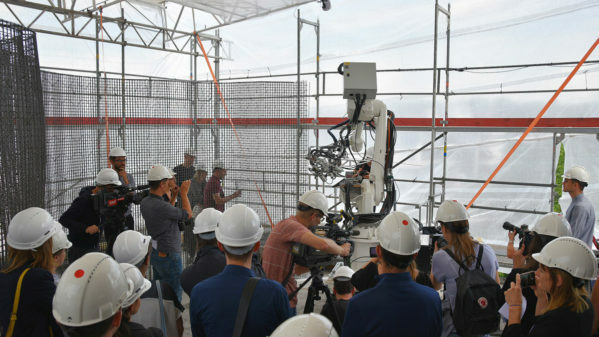 The media attended numerously and was visibly excited about the start of the construction works for the first house in the world to be designed, planned and built using predominantly digital processes. 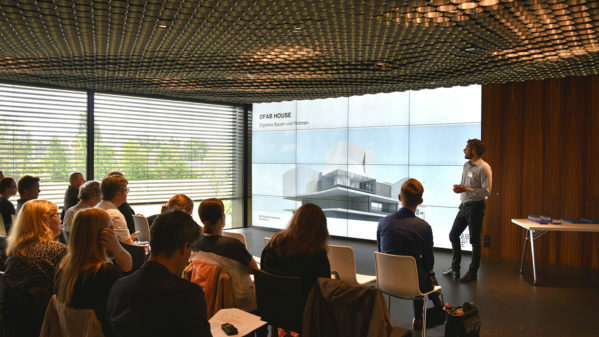 As part of the first media information, the DFAB HOUSE project team, consisting of the National Centre of Competence in Research (NCCR) Digital Fabrication, ETH Zurich, Empa and Eawag, and numerous industry partners introduced the journalists to the architecture concept of DFAB HOUSE and the five novel digital building processes which are for the first time being transferred from research to architectural application. 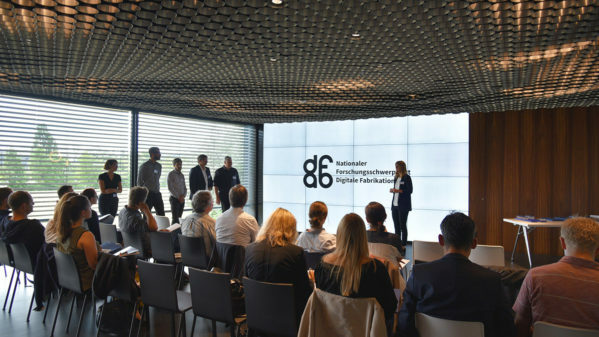 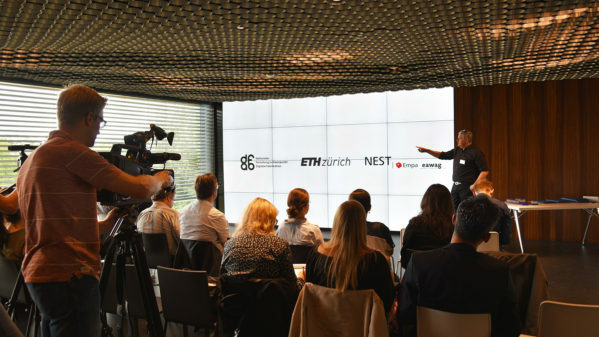 With this pilot project, the ETH professors want to examine how digital technologies can make construction more sustainable and efficient, and increase the design potential. 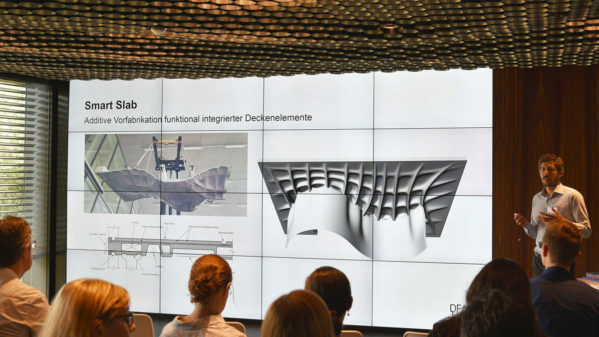 In his introduction to the architecture concept of DFAB HOUSE, design lead Konrad Graser highlighted that the project is distinctive in that it was not only digitally designed and planned, but is also built using predominantly digital processes. 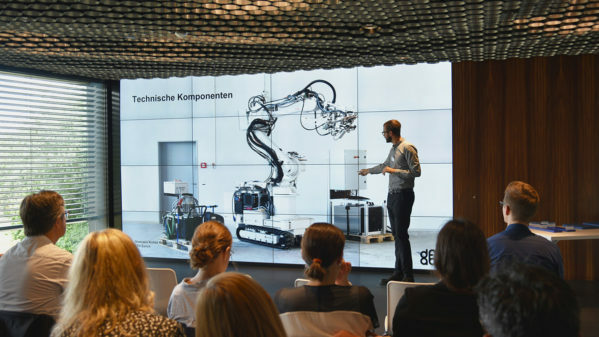 The design and planning of individual components were digitally coordinated, and these are now manufactured directly on site according to this data. 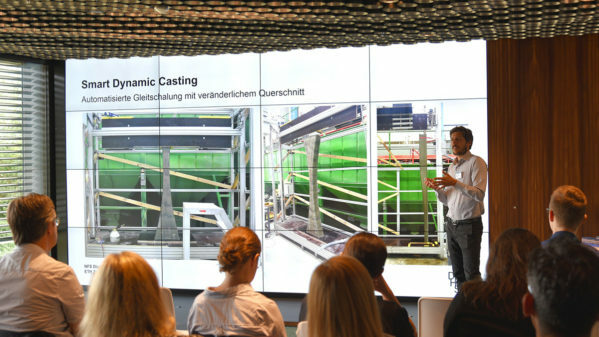 As a result, the conventional planning phase is no longer needed. 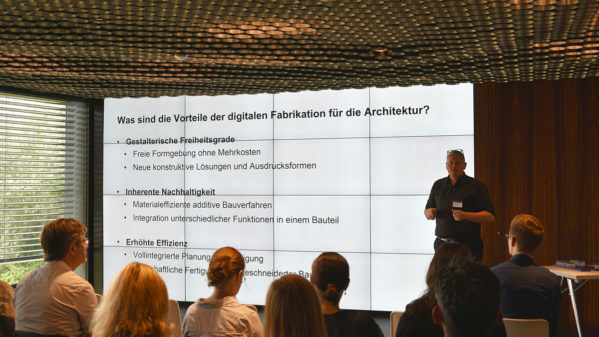 For ETH professor Matthias Kohler, founding director of the NCCR Digital Fabrication and the initiator of DFAB HOUSE, it is also the variety of new construction technologies that makes it a flagship project for digital construction. 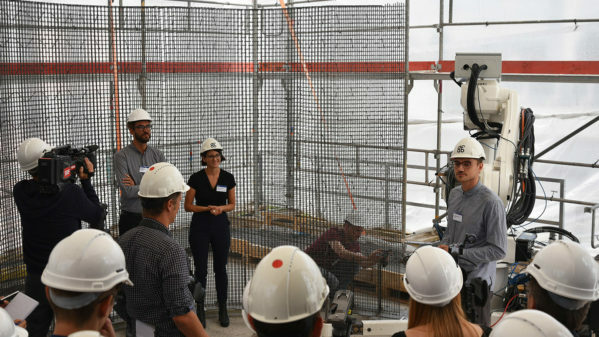 “Unlike construction projects that use only a single digital building technology, such as 3D printed houses, DFAB HOUSE brings a range of new digital building technologies together. 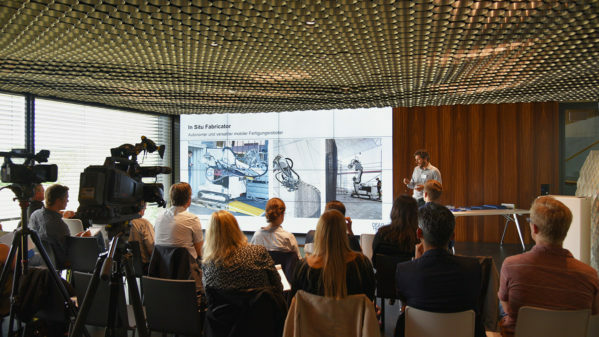 This allows us to use the advantages of each individual method as well as their synergies, and express them architecturally,” says Kohler. 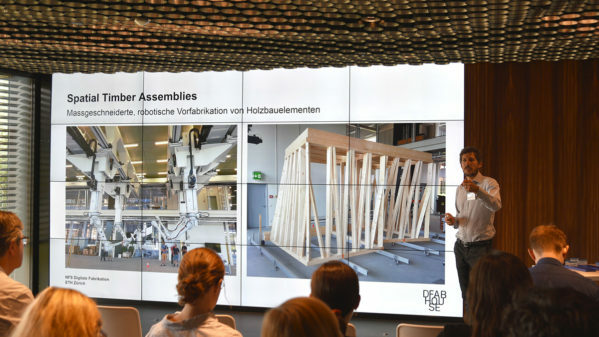 All the construction methods used in DFAB HOUSE have been developed in recent years by the researchers of the ETH professorships involved, as part of the NCCR Digital Fabrication. The fact that these technologies have so quickly found their way to the construction site is the result of both intensive collaboration between the different scientific disciplines and successful partnerships between research and industry. 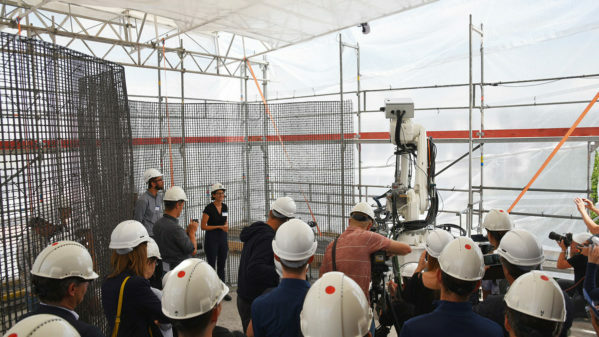 The media event finished with a demonstration of the first two technologies which are being implemented directly on the building site: the mobile construction robot “In situ Fabricator” and the formwork-free concrete construction technique “Mesh Mould”.